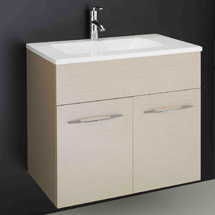 With more than 35 years’ experience, Rifco offers the largest range of quality bathroom cabinets in Australia. The family-owned business has a reputation for excellence and quality, and the tried-and-tested performance of Rifco products means, that when it comes to bathroom furniture, Rifco is a brand you can trust. Rifco specialises in bathroom furniture, including shaving cabinets, mirrors, vanity units and laundry units, which come in a vast range of sizes, colours and innovative designs. If it’s a contemporary look, simple elegance or striking style you wish to add to your bathroom or laundry, or perhaps you want to de-clutter and tidy up your current bathroom, a Rifco product is guaranteed to do the job and impress.